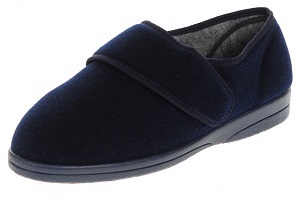 A seam free, adjustable slip-on slipper that's ideal for sensitive feet. A snug, seam free slipper with plenty of room for swollen feet. 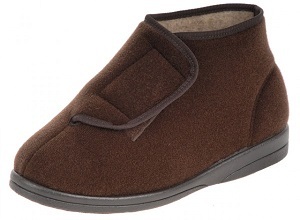 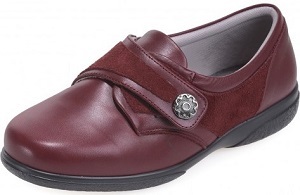 This soft, adjustable bootee keeps the ankles and feet comfy and warm. 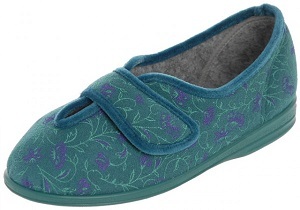 This pretty cotton lined slipper works equally well as a sandal. 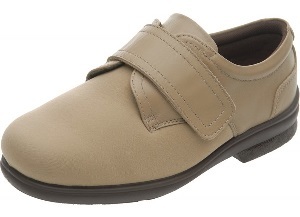 A great looking casual shoe. 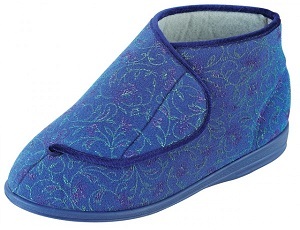 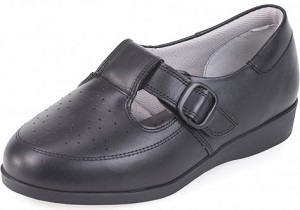 Lightweight and seam free with punched uppers to let your feet breathe. 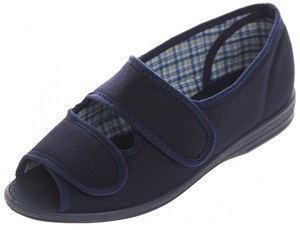 This stretchy, lightweight shoe won't put pressure on painful feet. 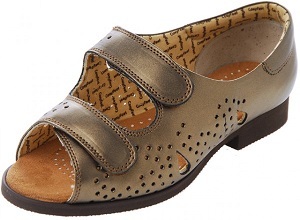 This lightweight, pretty sandal is adjustable and easy to get on. 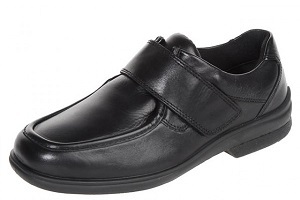 A smart leather shoe that's much roomer than it looks. 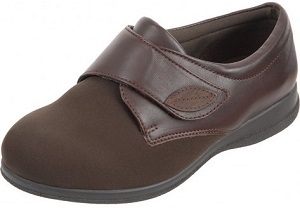 Ideal for fitting bunions, swelling or mis-shapen feet.